OPEN HOUSE SUNDAY 4/7 1-3. 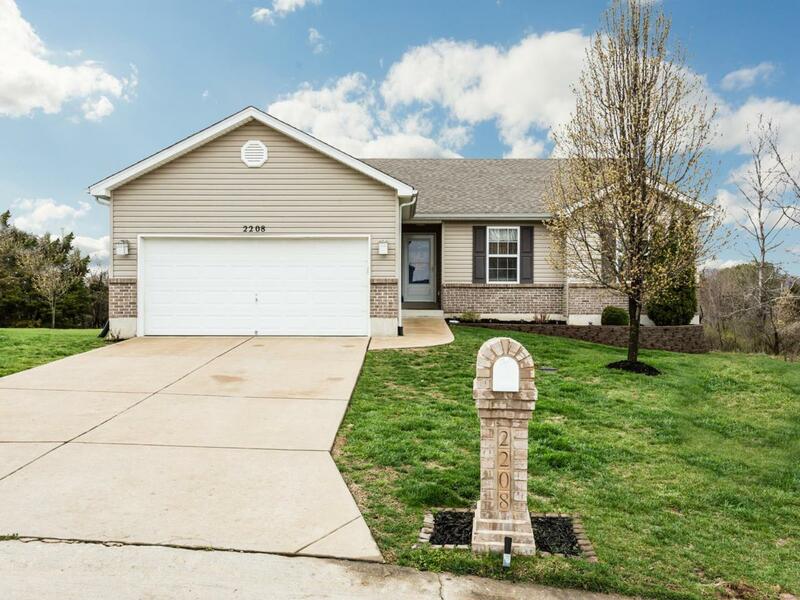 This attractive Ranch is the one you've been searching for! Prime location, condition and a floor plan that is perfect for any family. From the foyer, you'll enter into the Great room featuring a vaulted ceiling and a stunning brick surround fireplace centered by large windows. The kitchen includes BEAUTIFUL white cabinets, backsplash and a raised breakfast bar with stainless steel appliances. The breakfast room has access to the to the deck showing off a view of the large and flat private back yard backing to common ground. The oversized master suite includes a generously sized walk in closet, vaulted ceiling, bay window & private bath. 2 additional bedrooms, hall bath & laundry room complete the main floor. The walk out lower level is unfinished with potential to create your own layout and double the living space. This home sits nestled away on a culdesac. You'll fall in love the minute you arrive. Conveniently located close to highway 55.